The Haiti Cultural Exchange, a nonprofit organization, was established to present and promote the cultural expressions of the Haitian people. Through programs and services, the Haiti Cultural Exchange supports emerging and established artists to raise awareness of social issues and foster understanding and appreciation of Haitian culture through programs in the arts, education, and public affairs. Along with public and social awareness through innovative programs, HCX hosts public forums such as the An n' Pale Café Conversation Series with artists, educators, and cultural activists and Diaspora in Dialogue: A Haitian Identity Symposia, which is a day of celebration, self-criticism, self-exploration, and solidarity for the Haitian community. Through numerous art programs including the Haiti Film Festival, Saturday workshops, and open studio tours, HCX celebrates Haitian culture through its visual arts community by highlighting Haitian and Haitian American art that brings awareness to its society. 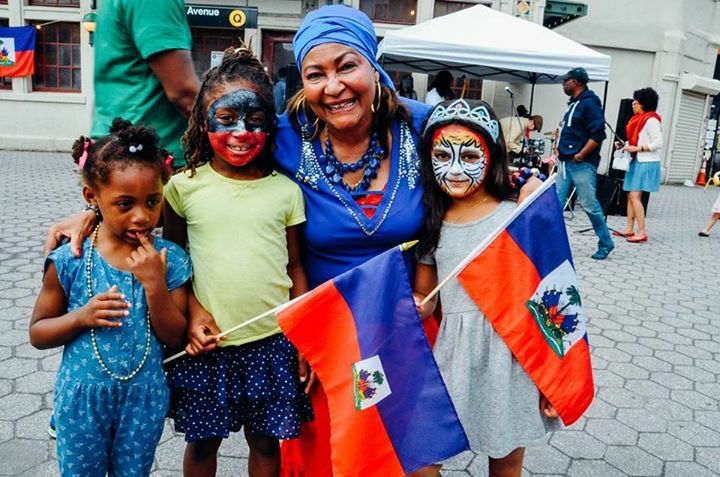 These programs also connect children and families to the rich and oral traditions of Haiti with youth development workshops and after school programming. To learn more about the Haiti Cultural Exchange, you can visit their website. The Haiti Cultural Exchange is among the Neighborhood Preservation Center's groups that has used our meeting space for board and staff meetings. For the full list of groups, please visit our website.